Delicious, so much goodness right there! Thanks Jane- it tasted like goodness, without being too purist. That looks really wonderful Francesca! 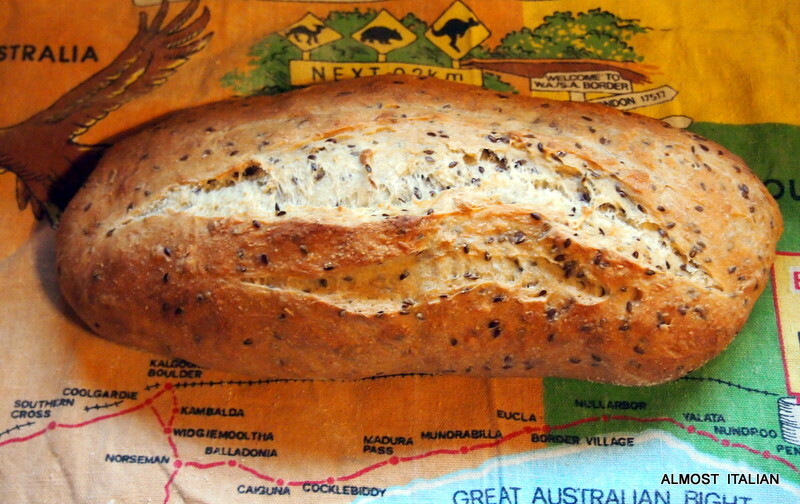 I love the flavour of San Francisco sourdough but even more I love the sourdough rye and seed breads of Germany. I can either neither these days, but am glad to have had my share in previous years! I’m glad I’m not the only person to be soaking my nuts and seeds and legumes. It does make a difference to my ability to digest them. Very interesting post. Thanks Ardy. It must be so annoying to lose these foods, but I am sure you are substituting many interesting others, judging by your posts. i spoke to Craig earlier this year and was going to do a long post on him- linking his work at the bakery with that of the original baker, Paul Merry, a friend of ours, who re-located to England and who has a business there called Panary where he runs breadmaking workshops. Craig’s bread was so good and I was so deeply p** off when he left. Now I know where he is- up your way. Not fair. Shall look at is scones. It would be good if I didn’t have the memory of Craig’s version lodged in my food memory! It needs more seed I think. That sounds like a fantastic loaf-full of texture and flavour. Celia is a bread baking treasure! She is a treasure indeed. Your bread looks amazing! Such a fab job! Thanks Helen, I’m a sourdough novice. Beautiful bread! 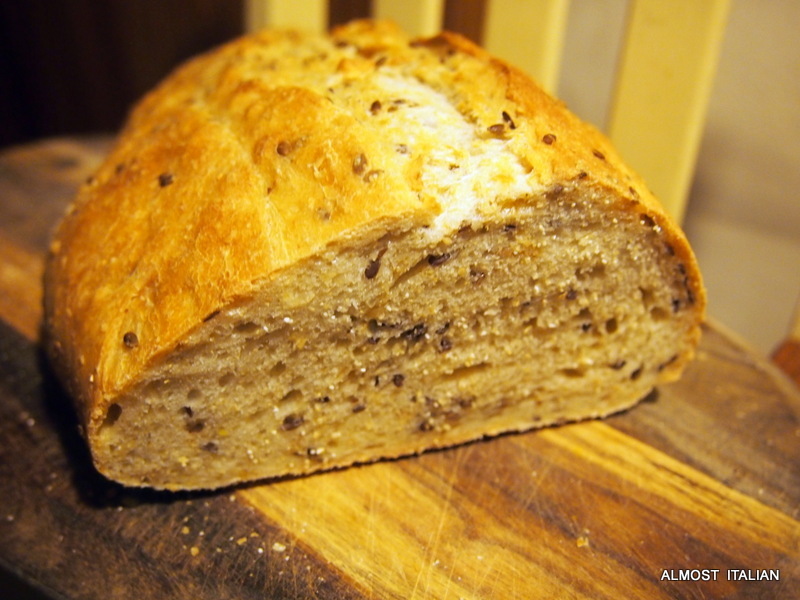 I also soak my seeds before adding to bread – including oat groats which might be nice with this bread. 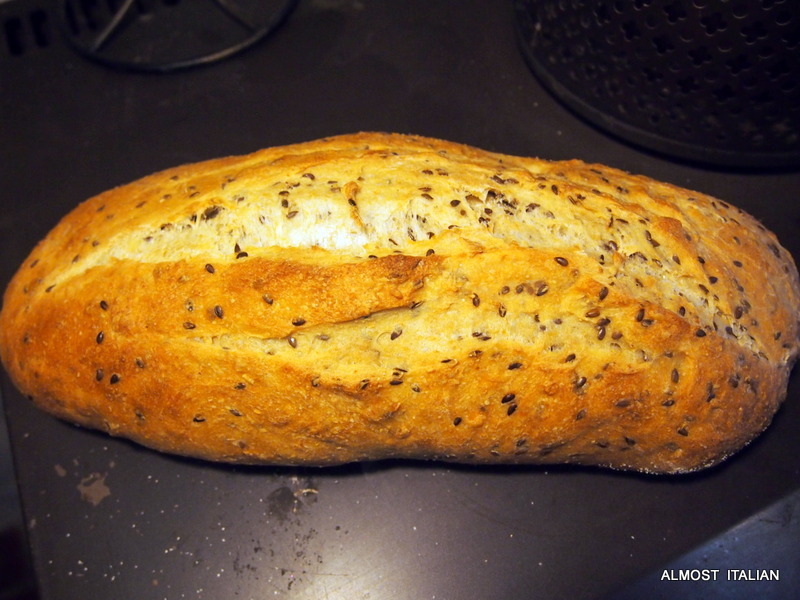 You’ve given me some ideas for my next loaf… That’s what this blogging lark is all about – sparking ideas, getting feedback …well, just communicating. 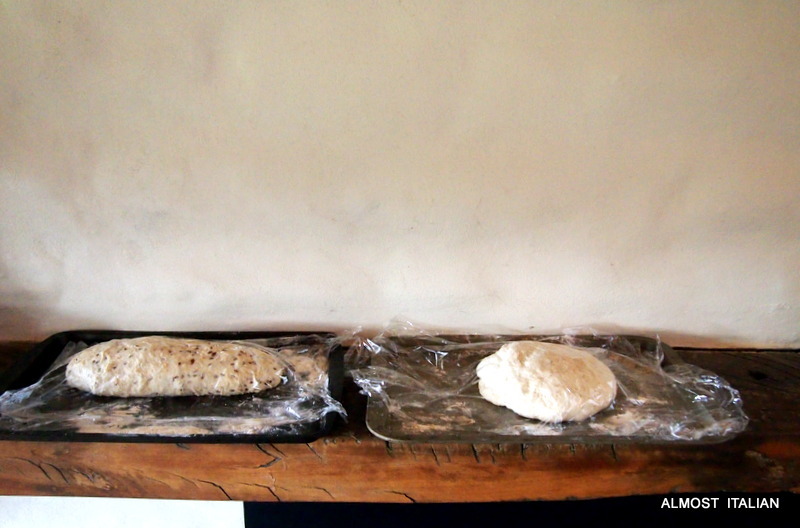 Looking forward to more entries in your sourdough diaries. Feel the same about FB, but it is useful to keep up with distant cousins and ex-students this way. Wish I had a freezer big enough to hold stores of bread! But, it never really gets that hot here, so baking year-round is doable. I am going to enter the sour dough world soon but I have a few promises to fulfill before that occurs. A fully musical day today prevented me from finishing yesterday’s wonderful work. Thanks, Francesca, for this post and by osmosis, introducing me to Celia’s wonderful blog. Thanks Merryn, It has been fun learning. Previous Previous post: Travel Theme: Horizons. Cape Reinga, New Zealand. Next Next post: My Italian Baking Bible.